Leeds-based rockers EDITED PEOPLE have released their debut single Feel My Skin, and it’s a bit of a doozey. The recently-formed four-piece introduce themselves with a solid blast of alt-rock, all driving guitars and soaring vocals. Feel My Skin is HEAVY. 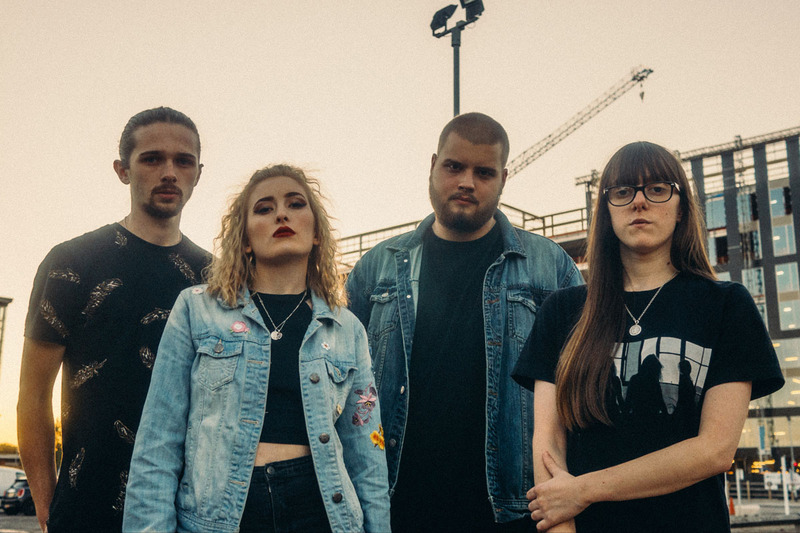 The opening riffs are early-90s metal, sharp and serrated like a rusty knife, while Alisha’s vocals bob and weave around the punchy guitars, like an alleyway Gwen Stefani. It’s the kind of tune that needs to be experienced from a sweaty mosh pit, and luckily Edited People have a couple of live shows lined up to sort that. The band are hitting up the Old School House in Barnsley on December 27, if Christmas with the family has gotten enough, and over at Sheffield’s Record Junkee on February 8, so you can plan ahead. From this in-your-face introduction, we’re looking forward to hearing more stuff from them. Go check them out on Facebook and follow their movements over on Twitter.